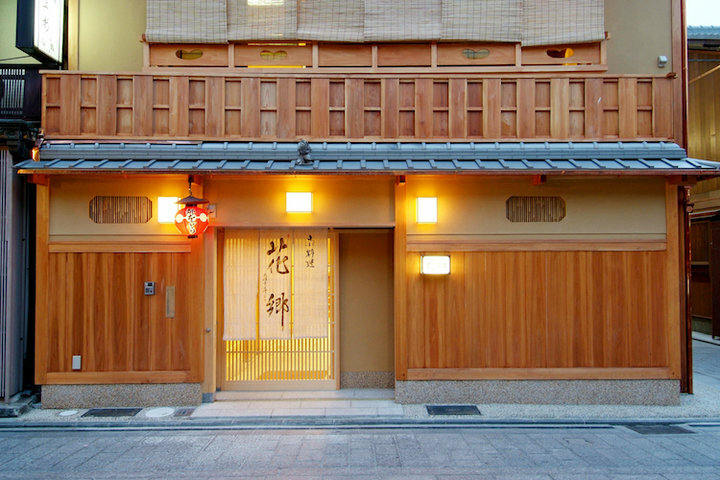 Located near Yasaka Shrine in the south part of Gion, Kyoto, a Michelin 1-star counter Kappo style Japanese restaurant "Gion Nishimura". Built-in Sukiya style architecture, this traditional townhouse with supple bamboo and ivory curtains quietly draws in customers. After graduating from university in Osaka, the Chef Motohide Nishimura worked for 7 years at "Tokyo Kitcho". The restaurant was a beloved creation of Teiichi Yuki, the founder of a number of top-class restaurants based in Osaka. 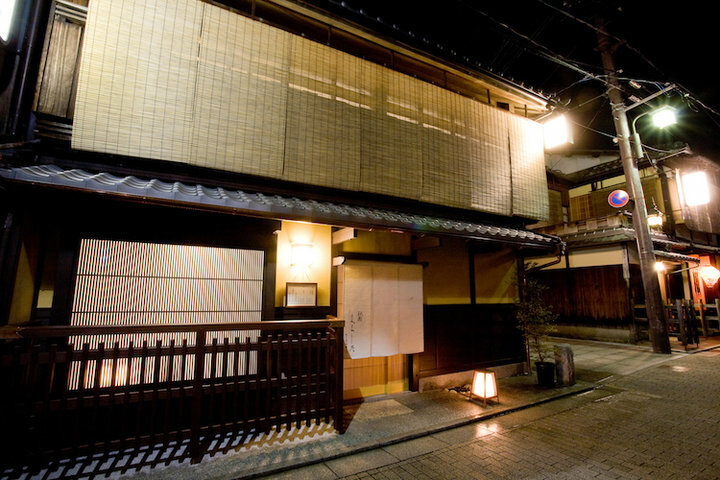 Nishimura went independent in 1994 and established his restaurant in Gion, a place bustling with Japanese restaurants. It has been more than 20 years since he opened. Placing great value on hospitality, he continues to be loved by his customers. 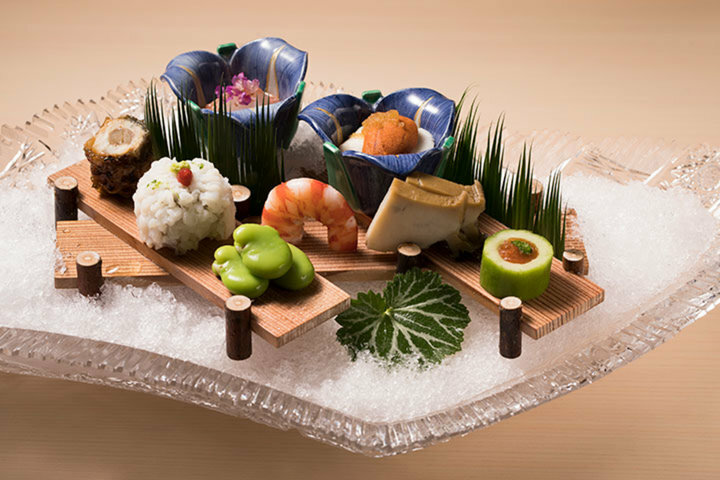 For his painstakingly-made dishes, Nishimura uses seasonal vegetables from Kyoto and fresh seafood from the Seto Inland Sea. 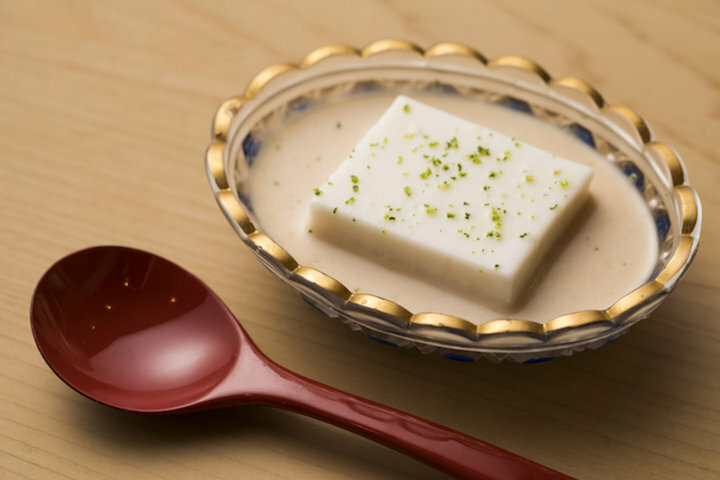 The chef’s Omakase(selected) course changes every month but guests are always greeted with Gion Nishimura’s specialty, "sesame tofu". The sesame is carefully placed into water to extract the essence. The sesame essence is then mixed with arrowroot and topped with a rich sauce. Served as Hashi-yasume between mains is the classic mackerel sushi. It is not too big, making it a great size for both ladies and young children. 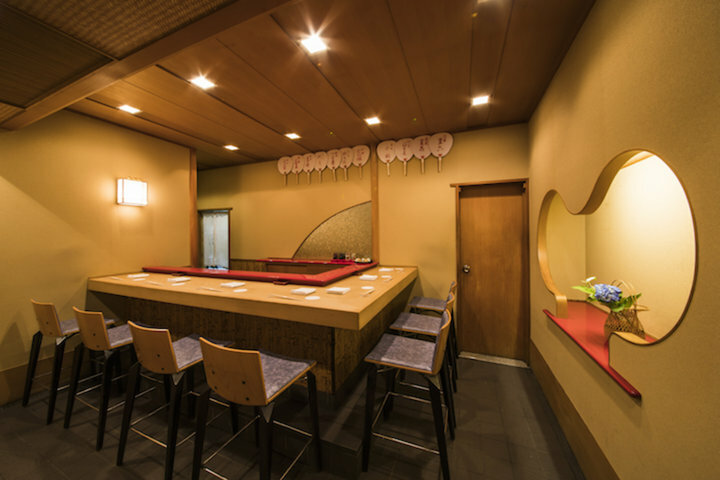 “Although this is Kappo style dining, I wanted customers to get a taste of Kyoto’s classic dish, mackerel sushi,” says Nishimura. It is said that he is the one who made mackerel sushi a quintessential dish for counter Kappo. 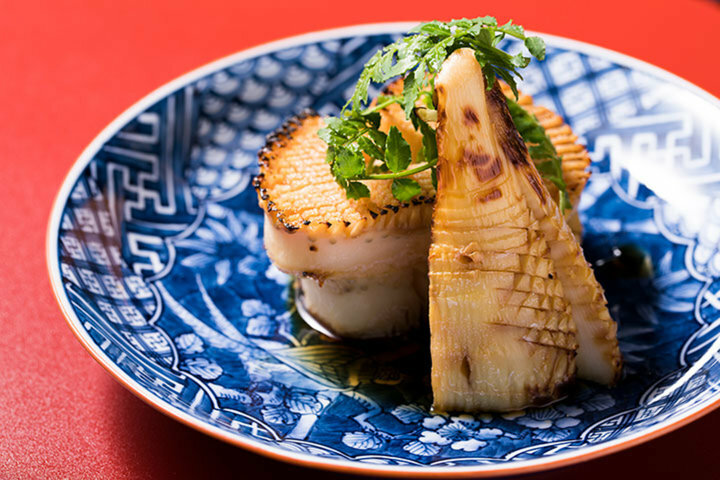 His dishes are accompanied by premium sake and serve to highlight the flavors of his dishes. 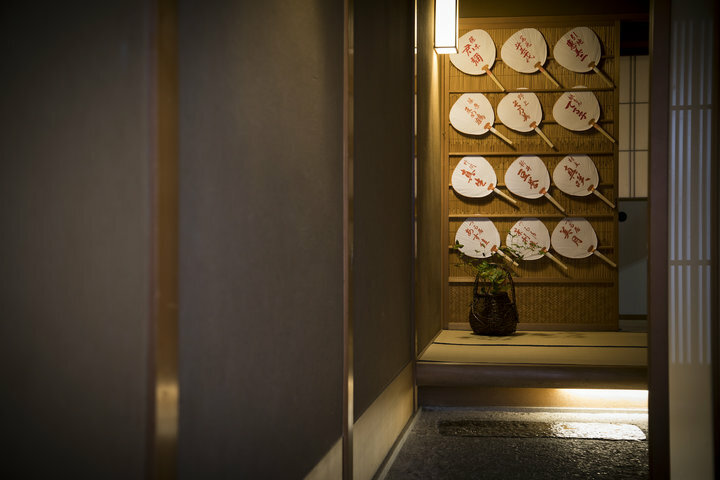 The interior encompasses Nishimura’s feelings of valuing hospitality. It is designed so that customers do not have to face each other. The counter was made with the same "Bishu hinoki" wood as Isei Shrine. 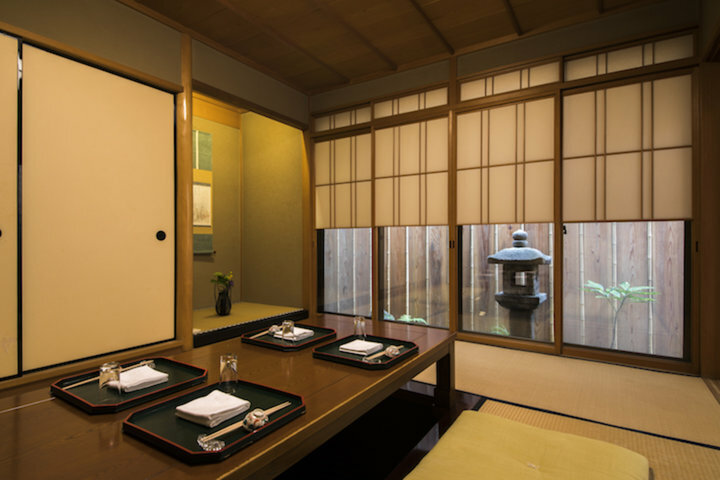 The restaurant has one private room with a sunken kotatsu and 2 rooms with tatami mats and tables. Great for business dinners, engagement dinners, and weaning ceremonies, the restaurant offers a private space to spend quality time with loved ones.